François-René graduated with a DVM from the National Veterinary School of Nantes (France). After completing an internship in equine medicine and surgery at the National Veterinary School of Alfort (France), François-René trained in Equine Internal Medicine at the Purdue University College of Veterinary Medicine (USA) and became a diplomate of the American College of Veterinary Internal Medicine (ACVIM). 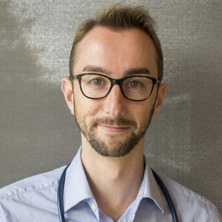 During his residency, François-René developed an expertise in equine endocrinology and authored several research articles on insulin dysregulation in horses. He then completed a PhD in physiology at McGill University (Canada), investigating the links between inflammation and coagulation. After his PhD, François-René worked as an Equine Internal Medicine specialist at the Equine Hospital of The University of Montreal (Canada) before joining The University of Queensland as a Senior Lecturer in Equine Internal Medicine. François-René enjoys all aspects of internal medicine and has a specific interest for equine metabolism and endocrinology. Studies on the pathogenesis of insulin-induced laminitis in horses. Insulin dysregulation is the hallmark of equine metabolic syndrome and has received attention because of its direct association with laminitis. In the absence of an adequate treatment for laminitis, our research focuses on the mechanisms leading to laminitis as well as on the early detection of individuals at risk of developing laminitis. The hypothalamo-pituitary-adrenal axis is a major regulator of homeostasis. With sickness or with age, this axis can be dysregulated leading to critical illness-related corticosteroid insufficiency or to pituitary pars intermedia dysfunction (PPID) respectively. The latter is a common condition of older horses that can result in laminitis and our research focuses on the detection and management of horses developping PPID. Bertin, F. R., Tamzali, Y. and Lussot-Kervern, I. (2014). Les medicaments anti-tumoraux. In J. Bardies (Ed. ), Guide de Thérapeutique équine (pp. 138-148) Rueil-Malmaison, France: Point Vétérinaire. Stewart, Allison Jean, Hacket, E., Towns, T.J., Funk, R.A. and Bertin, Francois-Rene (2018). Cortisol and ACTH concentrations in hospitilised horses. In: 40th Bain Fallon Memorial Lectures, Equine Veterinarians Australia Annual conference, Sydney, Australia, (). 15-19 July 2018. Bertin, Francois-Rene, Yuen, Ka U., Hinrichsen, Sophia, Horn, Remona and Stewart, Allison J. (2018). Effects of sample handling on ACTH stability in horses with normal and elevated ACTH concentrations. In: 36th American College of Veterinary Internal Medicine (ACVIM) Annual Symposium. Equine Endocrine Special Interest group, Seattle, WA, USA, (). 13-16 June 2018. Bertin, Francois-Rene, Yuen, K. Y., Hinrichsen, S., Horn, R. and Stewart, Allison Jean (2018). Effects of sample handling on ACTH stability in horses with normal and elevated ACTH concentrations. In: Australian and New Zealand College of Veterinary Scientists College Science Week Conference, Gold Coast, Australia, (). 5-7 July 2018. Stewart, Allison, Bertin, Francois-Rene and Ruffin-Taylor, Debra (2018). Glucose and insulin dysregulation in horses with systemic inflammatory response syndrome (SIRS). In: 40th Bain Fallon Memorial Lectures, Australian Equine Veterinary Association, Sydney, Australia, (). 16-20 July 2018. Bertin, Francois-Rene, Ruffin-Taylor, D. and Stewart, A. J. (2018). Insulin dysregulation in horses with systemic inflammatory response syndrome. In: Australian and New Zealand College of Veterinary Scientists College Science Week Conference, Gold Coast, Australia, (). 5-7 July 2018. Stewart, Allison, Bertin, Francois-Rene, Wood, Kelly, Owen, Helen, Suen, Willy, Owens, H., Young, Alex and Zedler, Steve (2018). Localised neurogenic atrophy as a sequela to putative paraneoplastic polyneuropathy in a horse with mesothelioma. In: 40th Bain Fallon Memorial Lectures, Australian Equine Veterinary Association, Sydney, Australia, (). 16-20 July 2018. Erwina, Antonia, Tan, Rachael, Bertin, Francois-Rene, Rose, Annie, Horn, Remona, Rose, Madeline and Stewart, Allison J. (2018). Serial evaluation of a mare with delayed onset vision loss subsequent to head trauma. In: 40th Bain Fallon Memorial Lectures, Australian Equine Veterinary Association, Sydney, Australia, (). 16-20 July 2018. Kritchevsky, J. E., Hess, E. K. and Bertin, F. R. (2017). Blood glucose and insulin concentrations following xylazine HCl and detomidine HCl administration in insulin dysregulated and normal horses. In: The 3rd Equine Endocrinology Summit, Coral Gables, FL, United States, (). 3-7 January 2017. Stewart, Allison J., Bertin, Francois-Rene and Rose, Annie (2017). Delayed peripheral blindness after head trauma. In: 10th Annual European College of Equine Internal Medicine,, Budapest, Hungary, (). 2-4 November 2017. Equine pituitary pars intermedia dysfunction(PPID) in the southern hemisphere, what is different? Stewart, A. J., Bertin, F. R. and Ruffin-Taylor, D. (2017). Glucose and Insulin Dysregulation in Horses with Systemic Inflammatory Response Syndrome (SIRS). In: 10th Annual European College of Equine Internal Medicine, Budapest Hungary, (868-868). 2-4 November 2017. Bertin, F. R., S. Laurance, C.A. Lemarie and M.D. Blostein (2016). Natural Killer Cells Induce the Formation of Neutrophil Extracellular Traps (NETs) in Venous Thrombosis. In: American Society of Hematology 58th Annual Meeting, San Diego, (1424-1424). 3-6 December 2016. Laurance, Sandrine, Bertin, Francois-Rene, Ebrahimian, Talin, Lehoux, Stephanie, Lemarie, Catherine A. and Blostein, Mark D. (2014). Gas6 Promotes Pro-Inflammatory (Ly6C(hi)) Monocyte Recruitment in Venous Thrombosis. In: 56th Annual Meeting of the American-Society-of-Hematology, San Francisco Ca, (). Dec 06-09, 2014. Lemarie, Catherine A., Le, Angela N., Laurance, Sandrine , Bertin, François-René and Blostein, Mark D. (2014). Extracellular RNA induces Venous Thrombosis Through TLR3. In: EJPress, Annual Conference on Arteriosclerosis, Thrombosis, and Vascular Biology, Toronto, Canada, (A78-A78). 1-3 May 2014. Bertin, Francois-Rene, Robins, Richard, Lemarie, Catherine A. and Blostein, Mark D. (2014). Gas6 Is Required for Thrombin-Induced Expression of VCAM-1 through Foxo-1 in Endothelial Cells. In: Blood. 56th Annual Meeting of the American-Society-of-Hematology, San Francisco Ca, (4179-4179). Dec 06-09, 2014. Laurance, S., Bertin, F. R., Lemarié, C. A. and Blostein, M. D. (2014). Gas6 promotes pro-inflammatory (Ly6Chi) monocyte recruitment in venous thrombosis. In: 56th Annual Meeting of the American Society of Hematology, San Francisco, CA, United States, (1533-1533). 6-9 December 2014. Aghourian, Meghedi N., Lemarie, Catherine A., Bertin, Francois-Rene and Blostein, Mark D. (2014). Prostaglandin E synthase is upregulated by Gas6 during cancer-induced venous thromboembolism. In: 56th Annual Meeting of the American Society of Hematology, San Francisco, CA, United States, (111-111). 6-9 December 2014. Bertin, F. R., Baseler, L.J., Wilson, C.R., Kritchevsky, J.E. and Taylor, S.D. (2013). Arsenic toxicosis in cattle: meta-analysis of 156 cases. In: Forum of the American College of Veterinary Internal Medicine, Seattle, (672-672). June 2013. Bertin, F. R., Robins, R. S., Lemarié, C. A. and Blostein, M. D. (2013). Gas6 regulates thrombin-induced expression of VCAM-1 through FoxO-1 in endothelial cells. In: International Society of Thrombosis ans Haemostasis, Amsterdam, (400-400). July 2013. Toth, B., Bertin, F. R., Miller, M. A., Charney, V. and Kritchevsky, J. E. (2013). Percutaneous endoscopic gastrotomy (PEG) tube placement in horses. In: Forum of the American College of Veterinary Internal Medicine, Seattle, (659-659). June 2013. Bertin, F. R., Baseler, L.J., Lentz, S. D., Wilson, C., Sojka-Kritchevsky, J. E. and Taylor, S. D. (2012). Arsenic toxicosis in herd of cattle. In: Forum of the American College of Veterinary Internal Medicine, New Orleans, LA, (764-764). June 2012. Bertin, F. R. and Sojka-Kritchevsky, J. E. (2012). Comparison of a two-step insulin-response test to conventional insulin-sensitivity testing in horses. In: Proceedings of the 57th American Association of Equine Practitioners conference. American Association of Equine Practitioners, San Antonio, TX, (). December 2011. Charney, V. A., Bertin, F. R., Tóth, B., Couëtil, L. L., Kritchevsky, J. E., Taylor, S. D., Miller, M. A. and Ramos-Vara, J. A. (2012). Ichthyosiform dermatosis in Camelids. In: Proceedings of the American College of Veterinary Pathology conference. American College of Veterinary Pathology conference, Seattle, (D23-D23). December 1-5 2012. Baseler, L. J., Bertin, F. R., Sojka-Kritchevsky, J. E. and Lentz, S. D. (2011). Arsenic toxicity in a beef herd. In: American College of Veterinary Pathology conference, Nashville, TN United States, (E13-E13). December 2011. Bertin, F. R., Ivester, K. M. and Couëtil, L. L. (2010). Comparative efficacy of inhaled albuterol between two hand-held delivery devices in horses with recurrent airway obstruction. In: Proceedings of the 28th Symposium of the Veterinary Comparative Respiratory Society. Symposium of the Veterinary Comparative Respiratory Society, Raleigh, NC, (). 28-30 September 2010.